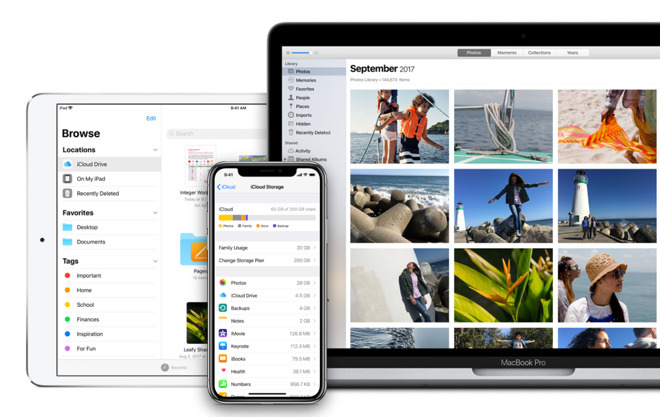 The promo, noticed on Reddit, is only available to new (paid) iCloud customers, and is nominally meant to ensure they "have enough space to safely back up all the important things on your iPhone, like photos, videos, files, and apps" so the data can be restored once a new phone arrives. The link above mentions Sprint in the URL but should also work for AT&T, T-Mobile, and Verizon. Apple has actually been offering 30-day trials of its paid tiers since May, so in reality the new promotion is simply an extra month on top of that. People who sign up will also be charged $2.99 per month after the deal expires, unless they cancel. iCloud only includes 5 gigabytes of data for free, which for many people is just enough for a single device backup. In the U.S. Apple charges 99 cents per month for 50 gigabytes, $2.99 for 200 gigabytes, and $9.99 for 2 terabytes. The company is expected to reveal three new iPhones next month at its usual September press event. These include 5.8- and 6.5-inch OLED models, and a less expensive 6.1-inch LCD device. It's possible that Apple could once again bump up maximum local storage to 512 gigabytes, which would keep iPhones competitive with Samsung's Galaxy Note 9.